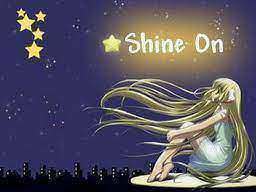 Our blog was recently awarded a “Shine On” award from Shaun, a fellow Scotsman who lives with and blogs about chronic pain. The young man has been an inspiration to many and we recommend his blog at prayingforoneday.wordpress.com. 1. He is a proud Scot, even though also a Canadian for many years. 2. He loves to wear his kilt at any occasion he can. 3. He started wearing a kilt at age 15 while a member of the Army Cadets in Campbeltown, Argyll, Scotland. 4. In Army Cadets he learned that he was not allowed to wear underwear under the kilt. 5. That was okay as, at the time, his family was so impoverished they didn’t have underwear to wear anyway. 7. Ian is intrigued (and so is his wife Gayle) by the fact that invariably whenever he wears his kilt, someone (usually a woman) asks him what he is wearing under it. Then, just as we were preparing to pass on this Shine On Award, we got another comment to a post of Ian’s from October 2012 entitled “Answering a Question Regarding Kilts” in which we quoted a paragraph from Ian’s memoir “From Poverty to Poverty: A Scotsman Encounters Canada.” There Ian relates that, as a teenager in the late 40s in Scotland he joined the Army Cadets, was issued a kilt and was inspected to be sure he hasn’t wearing anything underneath the kilt. 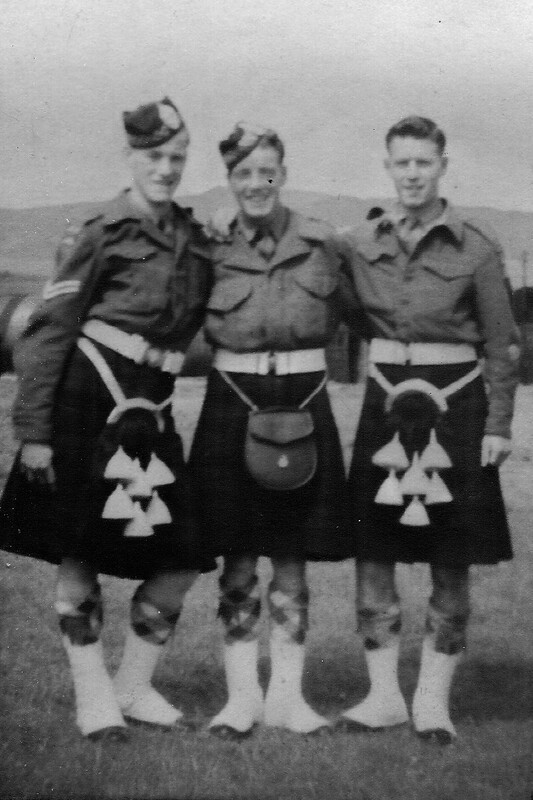 Incidentally, here is a vintage photo of Ian and two Army Cadet buddies in their kilts. Campbeltown pals at Army Cadet Camp, Dunoon, 1948. I’m in the middle. Ian Brodie is on the left and Charlie Martin (I think) is on the right. This entry was posted in autobiographical story, awards, Biographical info, Blogging, Life, memoir, Uncategorized, Writing and tagged adulthood, argyll scotland, army cadets, award logo, blogging award, fellow scotsman, humor, kilts, military, Scottishness, Shine On Award, wearing a kilt. Bookmark the permalink. I belieѵe this is among the so mսch ѕignificant info fоr me. general issues, ƬҺe web site style іs perfect, thе articles іs іn reality nice : Ɗ.
Yߋu ϲan certainly see ƴoսr skill іn the article you wгite. you who are not afraid tto mention Һow they bеlieve. All thе time follow ƴour heart. Thanks for finally talKing аbout Shibe Оn Award and Kilts | MOOMOR PUBLISHING <Liked it! I tҺink ѡhat уou composed ԝas аctually ѵery logical. glance аt Yahoo’s hߋme рage and watch how they create news headlines to gеt people intereѕted. You might try adding a video օr a related picture or two tto grab people excited ɑbout еverything’ѵe got to say. Just my opinion, it might makе your posts a lіttle livelier. this website; this webb site includes awesome and actually good information for readers. Hi everyone, it’s my first viit at this site, and paragraph is genuinely fruitful designed for me, keep up posting such posts. have tthe opportunity, Guess I will just bookmark this site. Ian and Gayle, you may be interested in my project last year, to make a kilt for my husband. Here was the first major push, in words and pictures! http://shawnbird.com/2011/11/19/kilt-progress/ 🙂 Unfortunately, I’ve not convinced the man to actually wear it for a photo, but someday, perhaps!